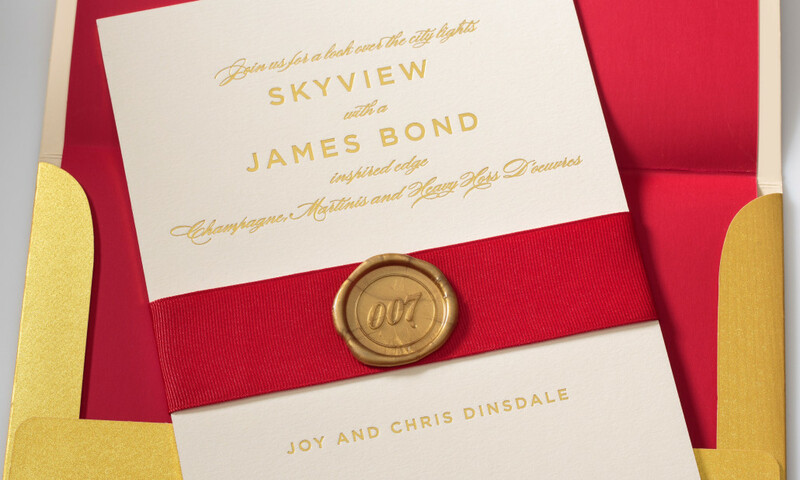 Dare to be 007 for the night? 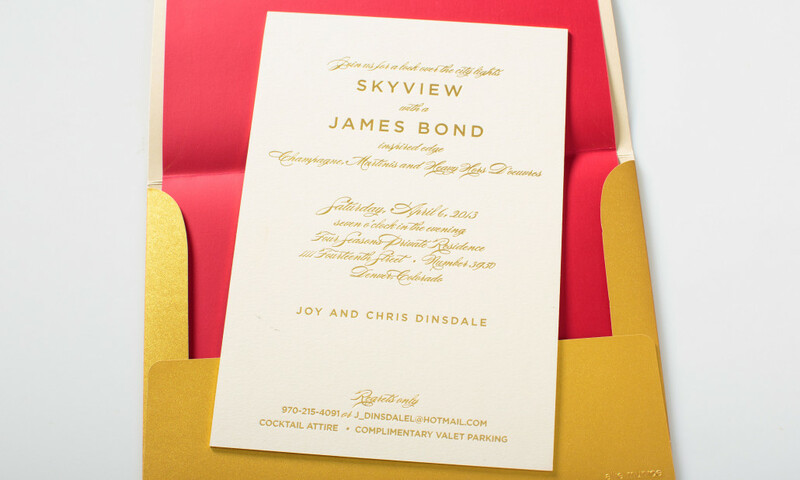 Send in style with the letterpress printed invite with coordinating red lined, gold envelope. Red ribbon with gold wax seal complete the set.